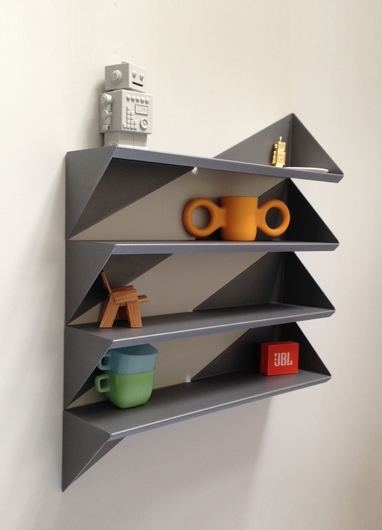 Folded out of one steel plate, the Tangram Shelf is a sleek and geometric designed wall plank that’s a real eyecatcher on your wall. As geometry enthusiasts we’re often “puzzling” shapes together to form patterns, a bit like playing with a ‘Tangram puzzle’ when you were a child. 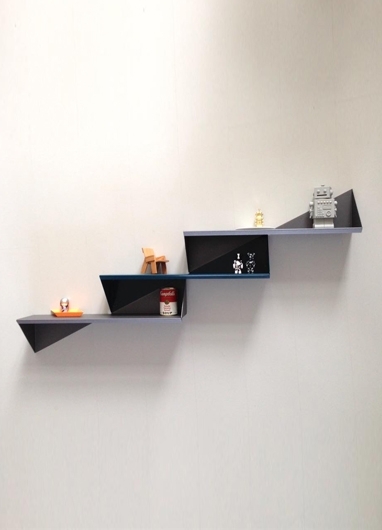 That was the inspiration for the design of this wall shelf. 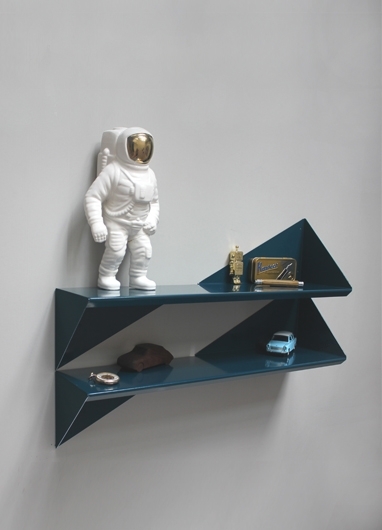 You can use the Tangram shelf as a solitaire wall plank or ‘puzzle’ a few shelves together to form a nice geometric composition on your wall. 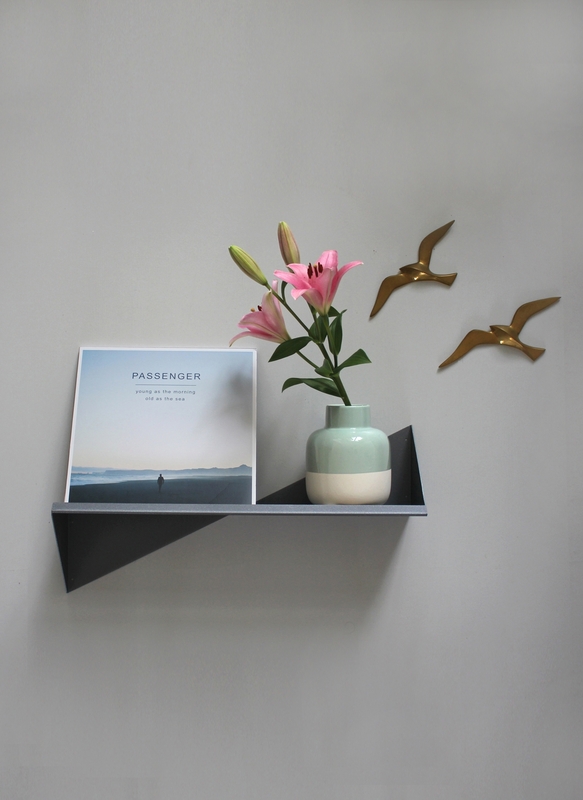 edge folded upwards creating a ledge to hold your favorite record sleeve, picture frame or keep your cooking book open on the right page. *custom colors may come at an additional cost.